The Apple Watch 2 won't be the only new watch unveiled by Cupertino this Fall. 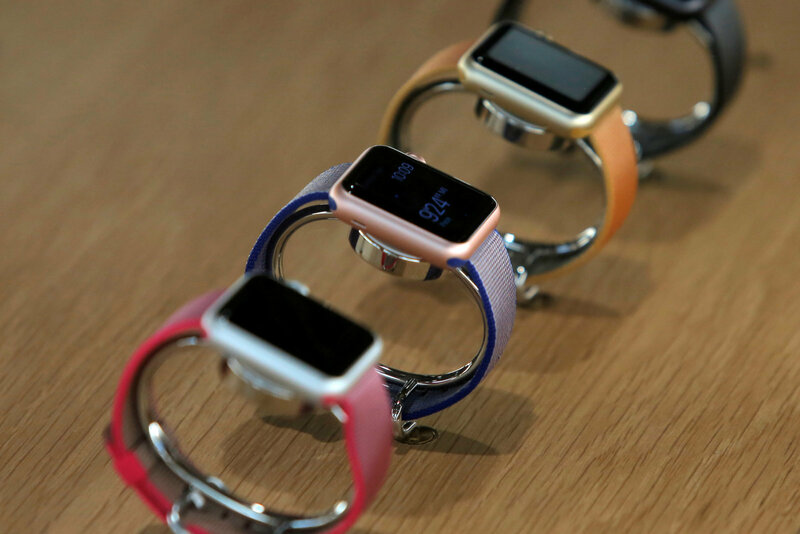 The Apple Watch will be thinner than its predecessor. The Apple Watch will be water-resistant (a first for Apple's smartwatch line) and have built-in GPS. The Apple Watch 2 will also feature a Wheelchair Mode as part of WatchOS 3, and Apple employees have been testing it already. While these features are good upgrades in the right direction for many Apple Watch users, the greatest priority for Apple's customer base is better battery life, with the first-gen. Apple Watch having only 4 hours of screen-on time (SOT) and 18 hours of battery life. 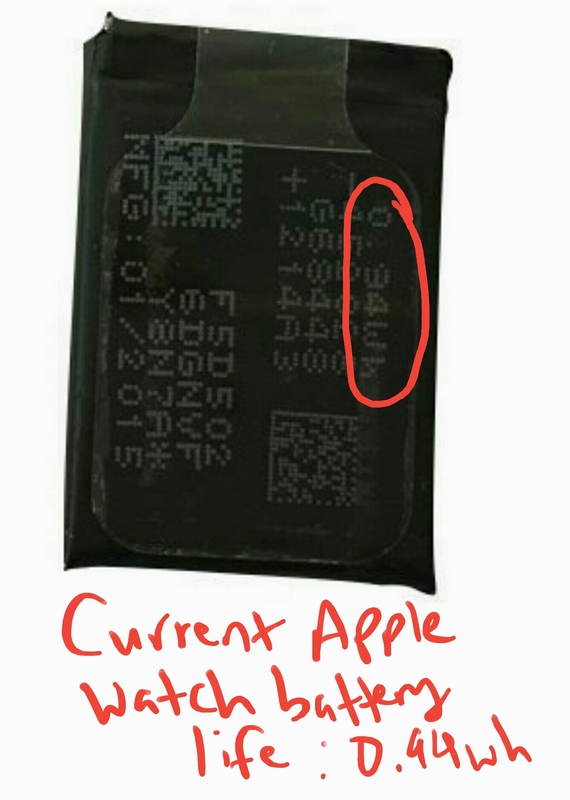 Well, a new leak shows that Apple intends to upgrade the Apple Watch 2's battery -- but only by a mere 88mAh. 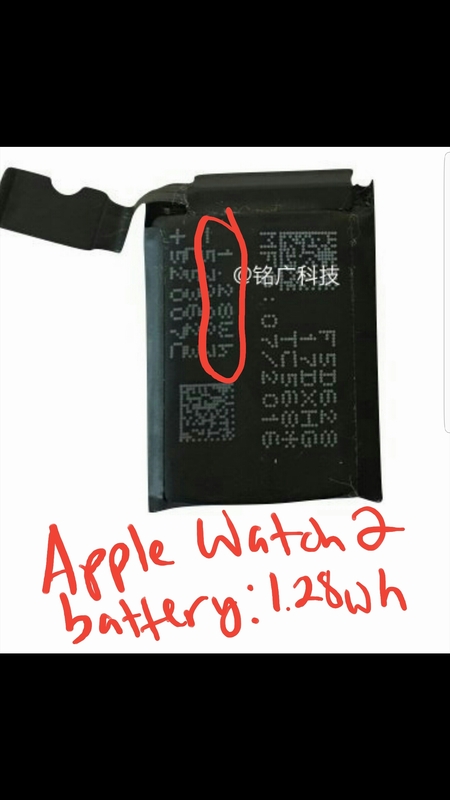 The battery in the current-generation Apple Watch is 246mAh (or 0.94 watt-hours) and the upgrade means that the Apple Watch 2 will have a 334mAh battery (or 1.28 watt-hours). Twitter member @themalignant leaked the upcoming battery size on Chinese social media site Weibo recently, showing the two batteries side by side in order to give an idea of just what battery improvement will be for the next-generation wrist wearable. Now, looking at the industry, there are few manufacturers giving large batteries in their smartwatches, but Samsung, for example, doesn't have to: Samsung just announced the Gear S3 and it upgraded the battery by a mere 80mAh -- which isn't too far off from Apple's intended battery upgrade. At the same time, however, there is a difference between Samsung and Apple: Samsung's Gear S3 is running Tizen, which is far more battery efficient than even Android and doesn't need large batteries to go the distance. The Gear S2, Samsung's 2015 smartwatch, lasts between 2-4 days on a single charge. Apple on the other hand has shown that its small battery doesn't provide much juice for consumers when compared to its staunchest rival, with only 18 hours being the maximum battery life for the watch regularly. 48 hours vs. 18 hours. Which one has more stamina? You be the judge. Built-in GPS is looking more and more likely as a new feature, but GPS does guzzle battery (which means that a larger battery is needed to sustain GPS, WiFi, Bluetooth, and other functions of the smartwatch (including the display and screen resolution). With only 88mAh being added to the equation, users will likely notice no difference in battery life between the Watch 2 and the original. If anything, they may even notice a loss of battery life if they rely on GPS for fitness tracking purposes. Turns out that, unfortunately, the thing that users most want (battery) is the thing they'll get very little of in the Apple Watch 2. It's yet another case of "Apple teases again."